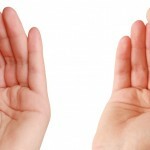 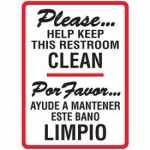 One way to obtain the voice of the customer is, by simply, asking them. 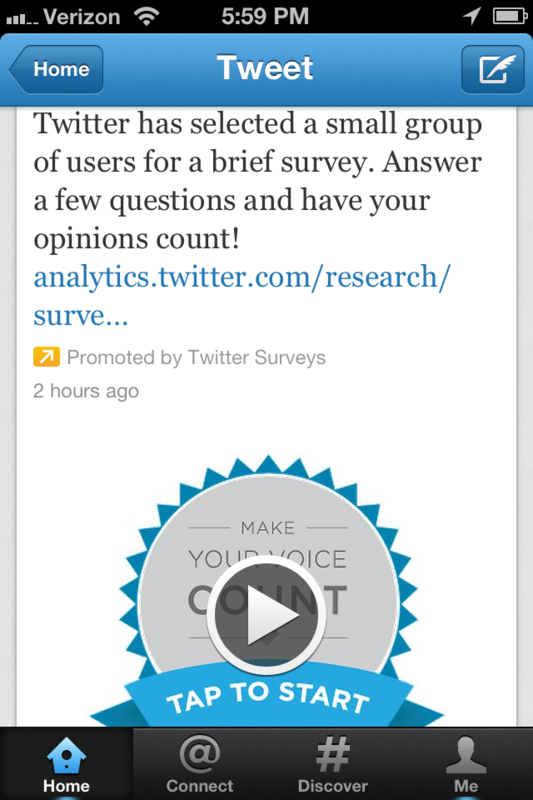 Twitter has selected a small group of users for a brief survey. 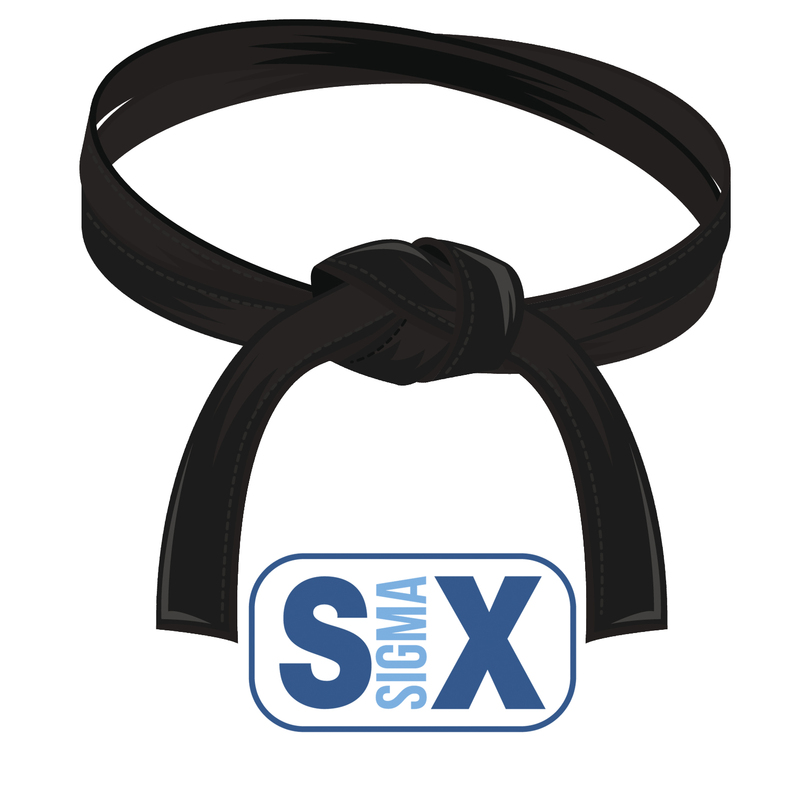 Answer a few questions and have your opinion count! 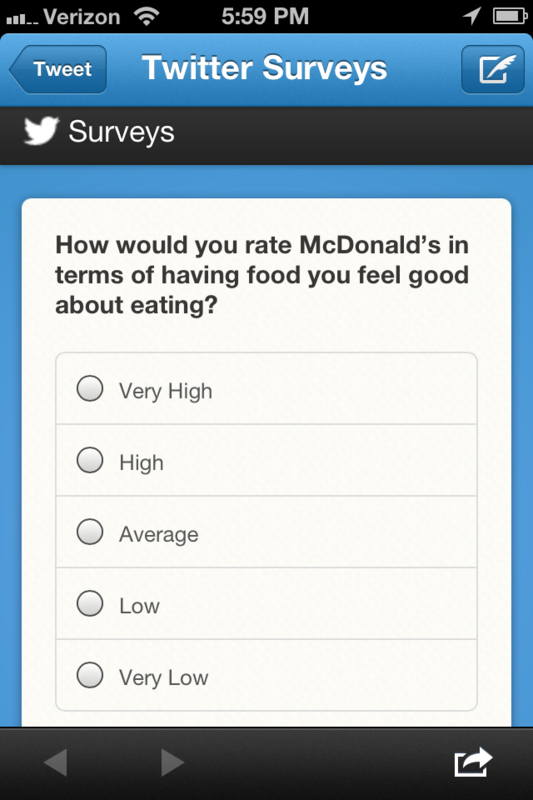 How would you rate McDonald’s in terms of having food you feel good about eating? 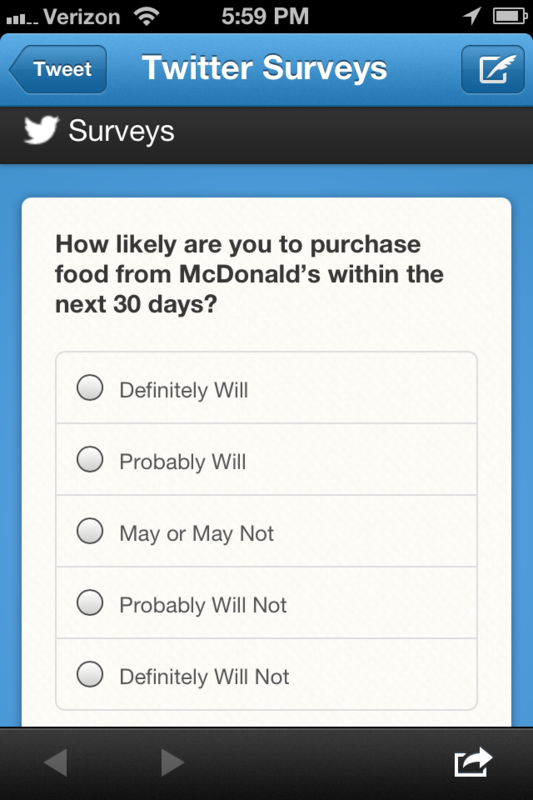 How likely are you to purchase food from McDonald’s within the next 30 days? 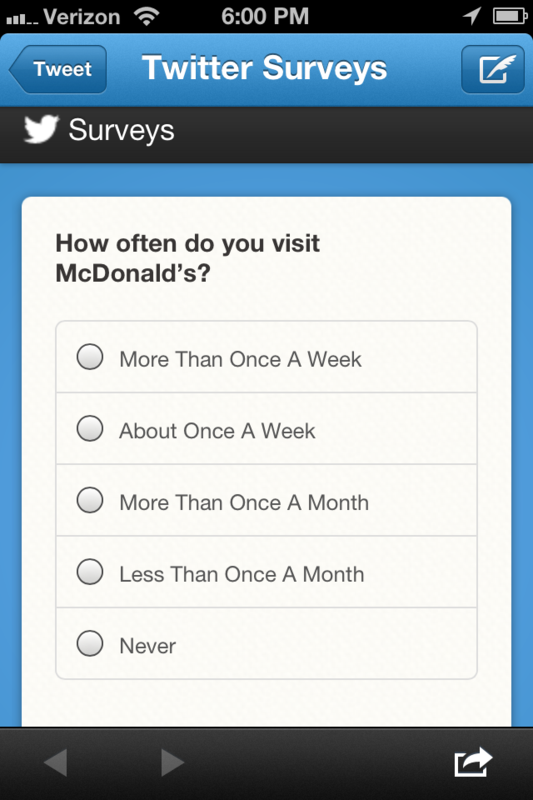 How often do you visit McDonald’s? 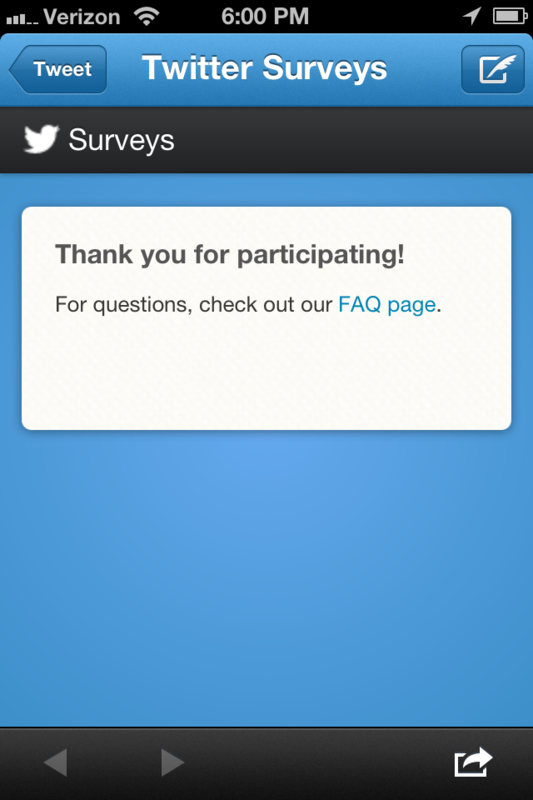 And, that’s the end of the survey. 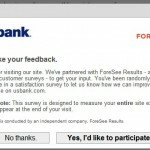 All in all, the survey was well done. 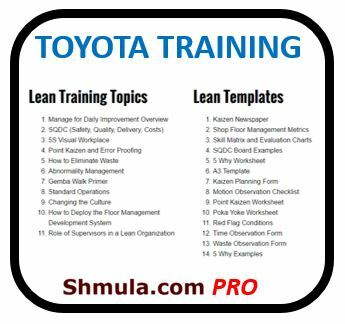 The screens flowed well from one screen to the next. 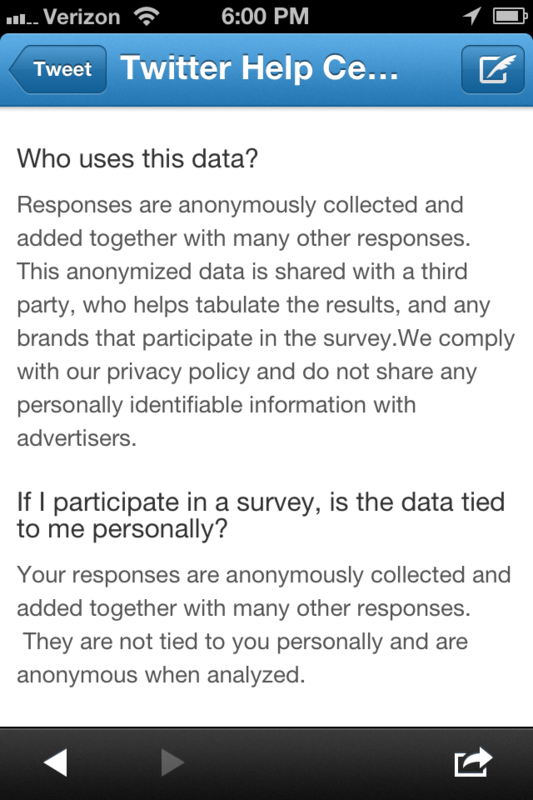 What is weird though is that, as a user, I had no idea what the survey would be about. 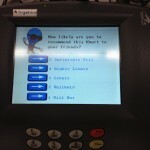 It was about McDonald’s – I would have been a definite promoter if I were offered some free food or something. 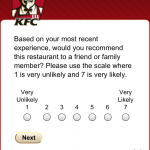 Regardless, the survey was pretty smooth and easy. 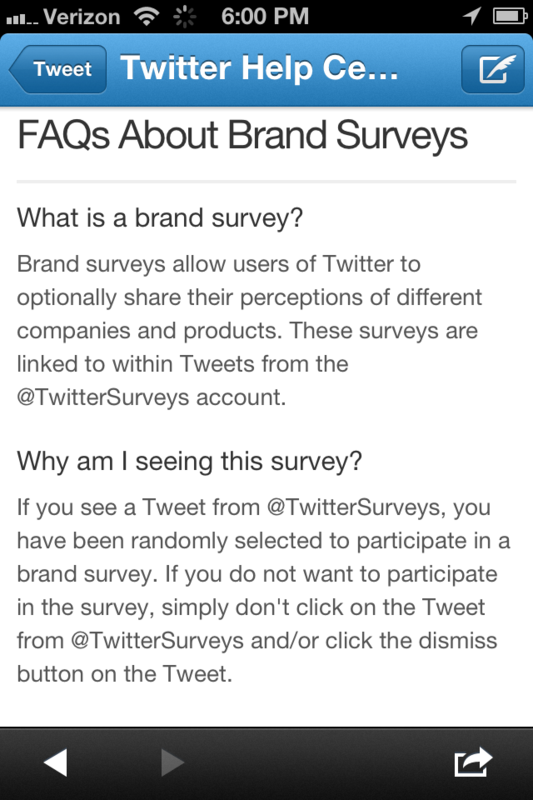 Brand surveys allow users of Twitter to optionally share their perceptions of different companies and products. 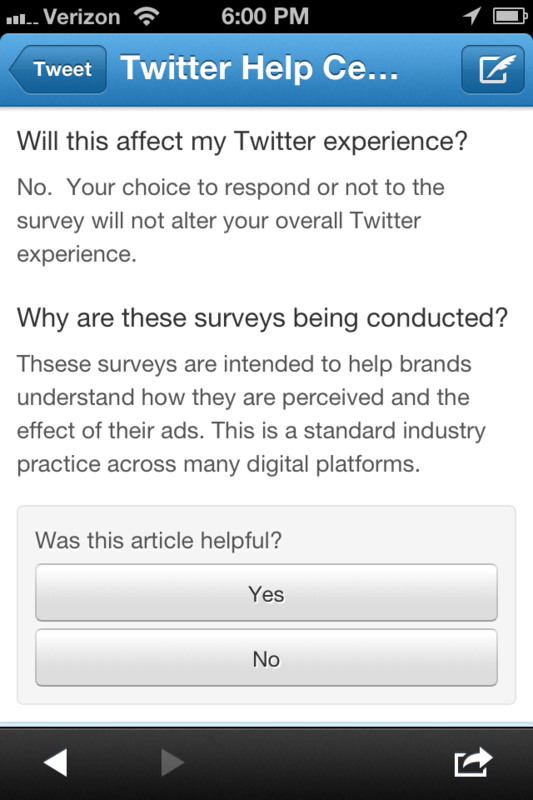 These surveys are linked to within tweets from the @twittersurveys account.